Each Christmas, adults and children alike delight at the story of the kings from the East who followed the star to Bethlehem to offer gifts to the newborn Christ. While this familiar tale is recorded in the Gospel of Matthew, another little-known version later emerged that claimed to be the eyewitness account of the wise men. 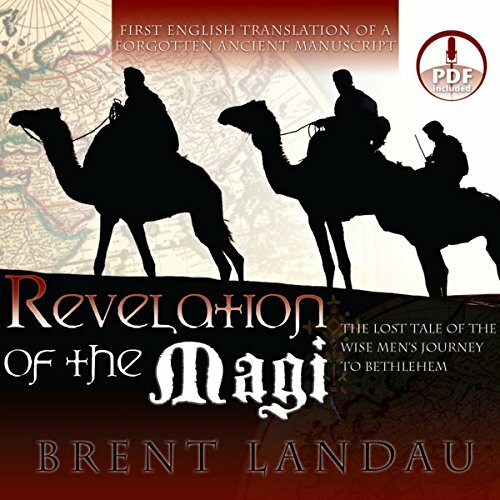 This ancient manuscript has lain hidden for centuries in the vaults of the Vatican Library, but through the determined persistence of a young scholar, Brent Landau, this astonishing discovery has been translated into English for the very first time as the Revelation of the Magi. Everything we know about the wise men is based on only a few verses from the Bible. With the Revelation of the Magi, we can now read the story from the Magi's perspective. Listeners will learn of the Magi's prophecies of God's incarnation from the beginning of time, their startling visitation in the form of a star, the teachings they receive from the baby Jesus, and the wise men's joyous return to their homeland to spread the good news. This ancient version of the Christmas story is guaranteed to astonish and delight. It will also raise larger questions of the significance and meaning of Christ's birth, and the mission to spread the good news to every corner of the globe. All the drama and intrigue of the brief description of Jesus' birth in the Bible is filled out in greater, more colorful detail, offering for the first time the complete story of these beloved characters.